Click to see even more brands in the beverages industry comparison. We’re super excited about this smackdown series. Do you like it? We’ll be comparing the content interaction leaders in each vertical, as well as showing you how each industry leader compares to others industry leaders. 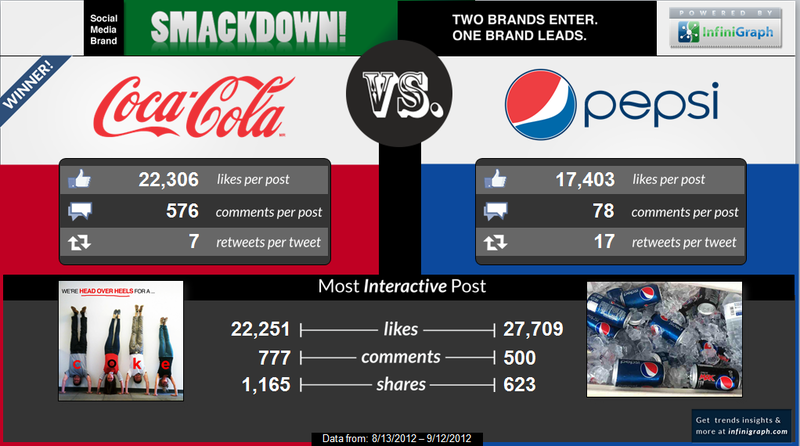 For example, who wins if we pit Kobe Bryant against Coca Cola? Stay tuned. This entry was posted in Brand Management, Content Marketing by admin. Bookmark the permalink.